I’m a teenager currently in secondary school and with misophonia. Living with this condition can be hell. Some days are better than others. Some days, I feel like punching the teacher for triggering me and some days I can just try and find my happy place. 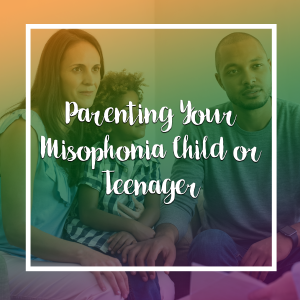 I think that for children and teenagers, dealing with misophonia can seem even more difficult because of everything else happening; hormones, exams, friendships, relationships, family problems, etc. It seems that a lot of teenagers don’t realise what they have and therefore go years before trying to get help. So they live through the problems and fall into a negative cycle they can’t break free from. Luckily for me, my school and most teachers were fairly understanding. They’ve let me wear earplugs around the hallways (they’re banned, technically) and I’m currently awaiting an appointment with an audiologist. I still wear them in noisy lessons, since teachers don’t notice and I still pay attention. If a teenager with misophonia doesn’t have earplugs, it can be really difficult. I know from experience; it sets you in a bad mood for the rest of the day, it can cause you to say or do things you’ll later regret, it can cause arguments and so on. Despite what I can now do, it did take a long time to get the school to let me wear them. Most teachers would tell me off for wearing them in the corridors. Some teachers didn’t do anything for a long time simply because they knew nothing about misophonia and how it affects people. Like the majority of doctors, my GP didn’t have a clue what misophonia is. However, my mother made sure to let me see a GP who was very kind and understanding; the same one who dealt with my older sister. I printed off a document from the Misophonia International website, which was essentially an information pack for doctors who have never heard of misophonia. I explained what my triggers were and the symptoms and I showed him a page from the document that explained several ways to get help (coping skills, Audiologist, etc). He did send me to be assessed for ASD (Autism/Aspergers) as well as be referred to an audiologist, although this is taking a long time. Despite all this, he did listen and I was very lucky to have an understanding doctor. Editor note: you can find a document for doctors/professionals here. Some teenagers, however, cannot see a doctor. They sometimes believe that their condition may not exist because there’s not enough information about it. 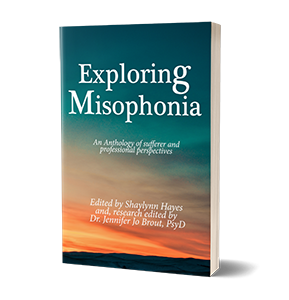 They may not see a point in seeing a doctor if the doctor won’t know anything about misophonia. Their parents and family might not let them see a doctor because, unfortunately, some families simply aren’t very nice or understanding. If this is happening, there are still options. My basic advice for young people who think they have misophonia is to firstly talk to the school. If you have a pastoral staff member you can talk to, or maybe a headteacher or head of house, you can talk to them. I understand there’s a stigma surrounding misophonia because it isn’t recognised by doctors yet, however if you show them articles or explain the condition to them they should understand. Secondly is to buy a pair of earplugs. Online, you can get them cheaply at 99 pence. I recommend silicone ones, although you should find a pair that you are comfortable with. If you have long hair, you can hide them easily and you should still be able to hear the teacher but drown out triggers or the noisy classroom. Thirdly is to have an escape plan. When I was dealing with anxiety at school, I had a green slip of paper that allowed me to walk out of a lesson if it got too noisy. If you have staff that you can talk to about that sort of thing, perhaps SEN (Special Educational Needs) or again, Pastoral, then you can talk to them about allowing you a way of getting out of lesson if you’re being triggered. That way, you can just get out and spend 5 minutes or so calming down and then go back into lesson. Lastly is to have an assortment of objects with you to fiddle with. If you’re like me and good at restraining your reactions but become very stressed, then an object to fiddle with is perfect. It could be a fidget cube, a pen, a watch, a stress ball, whatever works for you. You can have several or one and keep them in your bags or pockets to try and keep yourself distracted. Like I said, being a young person with a condition barely recognised by doctors is extremely difficult. Even more so when you’re growing up in a time when the world may seem like it’s going backwards and you have so many other problems going on. Being a teenager is indeed stressful. But you aren’t alone. I hope my story and advice helps at least someone, and helps them realise that you are not alone. 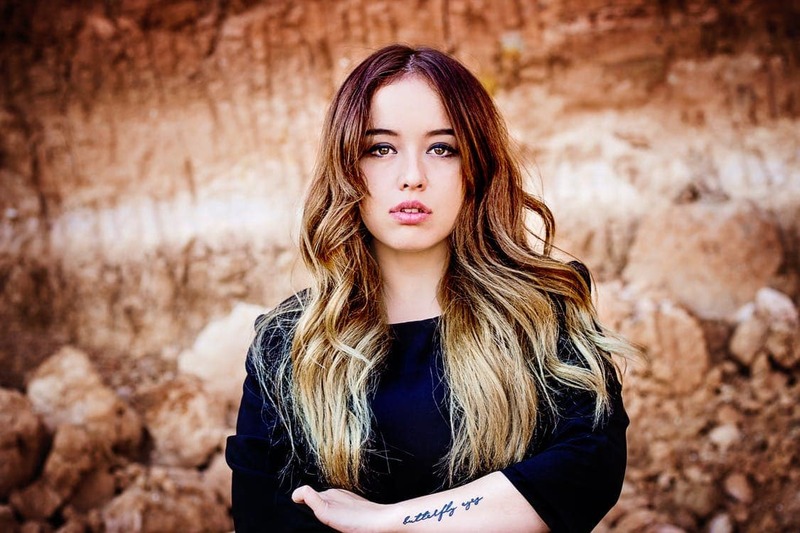 My name is Alexandra Killworth, and I'm currently a teenager in secondary school in England, learning to cope with misophonia. One of my main goals in life is to create a documentary about misophonia one day and raise awareness. You are too awesome. I am currently going through the same thing and it’s brutal. I feel like a weird, outcast all the time because of it. Thank you for posting and giving hope to others who are struggling! Bless your heart! I just realised that I had misophonia, and I don’t really know what do from here. Do I tell my school so I can wear earplugs, or do I just carry on wanting to punch something. I’m quite shy so can hide it really well, so if I say anything I don’t know if anyone will believe me, because they can’t see my reactions because I hide them. I don’t want school to become what it was like for you, even more annoying than it was before. I found you articles really good, keep up the good work!! This is a super tough, real struggle! I am with you. Mine hit an all time low this winter and I ended up seeing a psychologist for it. 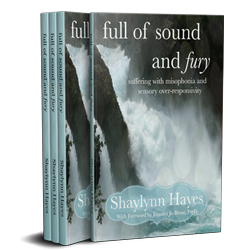 I learned alot more about myself and misophonia and it gave me lots of hope. They came to the conclusion that my case was anxiety induced. So I started going to bed earlier, exercising regularly, and doing other healthy habits. When I started feeling better about myself, the misophonia relaxed with it. Also, we feel a physical response when we hear our triggers. Tightness in the shoulders, a clench in the neck, closing of the fists, that type of thing when we hear our trigger sound. When I breathe super deeply and force myself to calm the physical response first, the psychological response isn’t as severe. Also, changing your outlook on the situations that you generally are the most triggered by. I used to dread going to a specific class because of certain individuals who chew gum or sniffing, especially annoyingly. But instead of scanning the area and searching for the potential trigger. I had to just go in, do my thing, and hope that they weren’t going to annoy me today. Ear plugs are also good options that I still use when need be. Just be careful to not get too dependant on them. I have upcoming GCSE’s & the last time I had a test in the hall I began to cry because of someone repetitively sniffing but I couldn’t tell anyone because I didn’t want to be judged by my entire year. At the moment I am debating on whether I should tell my head of year about my condition but as I have only told one person about it I have no idea how to begin and how she would react. What should I do..? How do you make it through the school day? My daughter has been out of school since eighth grade and is now a junior in high school. Missing outon all her high school years. She’s been doing online now for almost four years. Any suggestions on how to copein class? She did use earplugs but couldn’t hear the teacher very well. Too much anxiety as well.